Fifty years ago a beautician from Itawamba County, Mississippi (and sometimes Red Bay, Alabama) found herself in Nashville standing and auditioning in front of an Epic Records producer named Billy Sherrill. When she left Billy’s office, he agreed to record her if she returned with a good song and suggested she change her name to Tammy, observing her resemblance to Debbie Reynolds in the current movie, Tammy and the Bachelor ­ and the rest, my friends, as they say, is country music history. No one could know in the fall of 1966 when Billy recorded Tammy Wynette singing “Apartment No. 9”, that the First Lady of Country Music would step out of the studio on Music Row and into the airwaves of the nation and the hearts of millions of country music listeners across the world. Millions? Yes, millions. In fact, Tammy Wynette became known as the First Lady of Country Music for one simple fact: she was the first female artist in country music to have an album sell over one million copies, Tammy’s Greatest Hits (August, 1969). It was also the first Tammy Wynette solo album I ever owned. I can recall as a child listening to it over and over, even though it had been released many years before. I would carefully place the vinyl on the turntable of my stereo and move the needle over to the groove as it spun, a few seconds of silent anticipation rewarded with an unforgettable guitar riff, a strong bass line, a melodic sound from piano keys, sweet strains of a crying, steel guitar, and angelic backup harmonies. The songs compiled on this album are timeless and represent an era and a sound in country music that in many ways has been forgotten when compared to the current radio hits of today. Songwriters who contributed to this masterpiece include: Billy Sherrill, Bobby Braddock, Curly Putman, Glenn Sutton, Stu Phillips, Bobby Austin, Johnny Paycheck, Fern Foley, Charles Owen and Tammy Wynette herself (who co­wrote her signature song, Stand by Your Man with Sherrill) and a flawless tracking listing that reads: Stand by Your Man, Singing My Song, Take Me To Your World, Apartment #9, D­I­V­O­R­C­E, I Don’t Wanna Play House, Your Good Girl’s Gonna Go Bad, Run Angel Run, Too Far Gone, Almost Persuaded, My Elusive Dreams. Sadly, Tammy Wynette left this world too soon when she passed away in 1998 at the age of 55, but she has left a legacy in country music for new millions of music lovers to discover and enjoy. 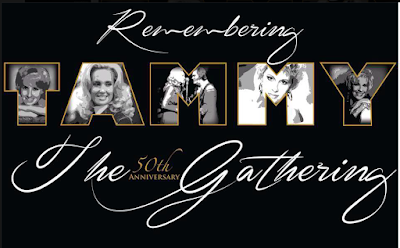 Her daughter, with country music legend George Jones, Georgette Jones, keeps her parents music alive through her CD’s and live shows; an annual fan event known as “The Gathering”, supported by all four of her daughters, also ensures Tammy’s love for her fans will never be forgotten. Other tributes to Wynette are featured in her hometown area at The Red Bay Museum in Red Bay, Alabama and in the forthcoming Tammy Wynette Legacy Park in Tremont, Mississippi. The park is currently under construction and will house a museum, country store, and a community center to host concerts and other events upon its scheduled completion in April 2017. The reality remains ­ for fifty years, Tammy Wynette’s voice continues to entertain, soothe and inspire and will never be silenced, remaining a standard for which all female country vocalists can aspire. 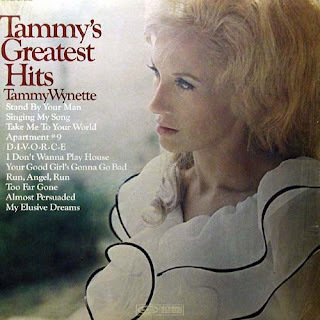 Take a moment to listen in whatever format you choose: vinyl, CD, mp3 or streaming to Tammy’s Greatest Hits, either for the first time or the millionth. It will be time well spent.